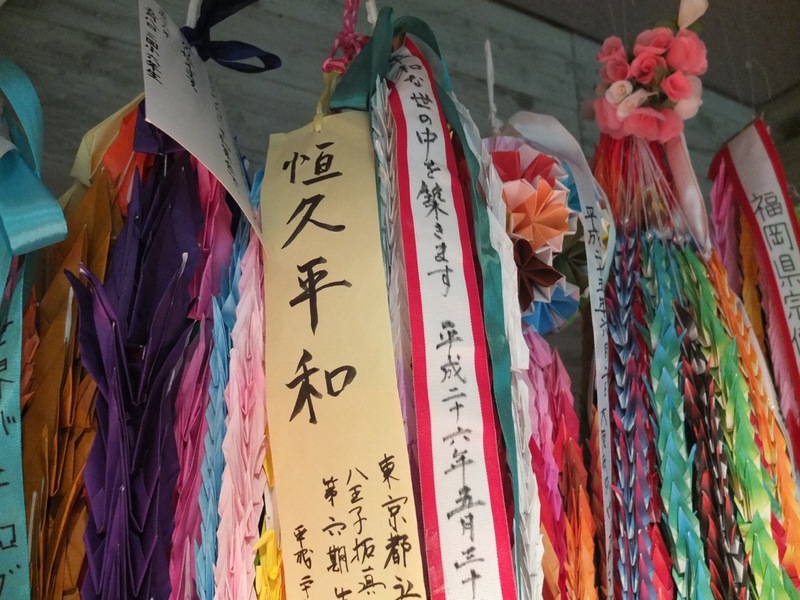 Editor’s note: This year it will be 70 years since the atomic bomb was dropped on Hiroshima. What is not widely known is that Japan was working on building its own atomic bomb, and if they had been faster, many believe that Imperial Japan would have used it. It does not lesson the horror of what was done but it should be noted. War is a horrible thing and it seems like it would be a tragedy to ever see Japan take up the mantle of war again. And the spectre of nuclear energy unleashed by the bomb is something that haunts this country as well, something that maybe should be abandoned as well. 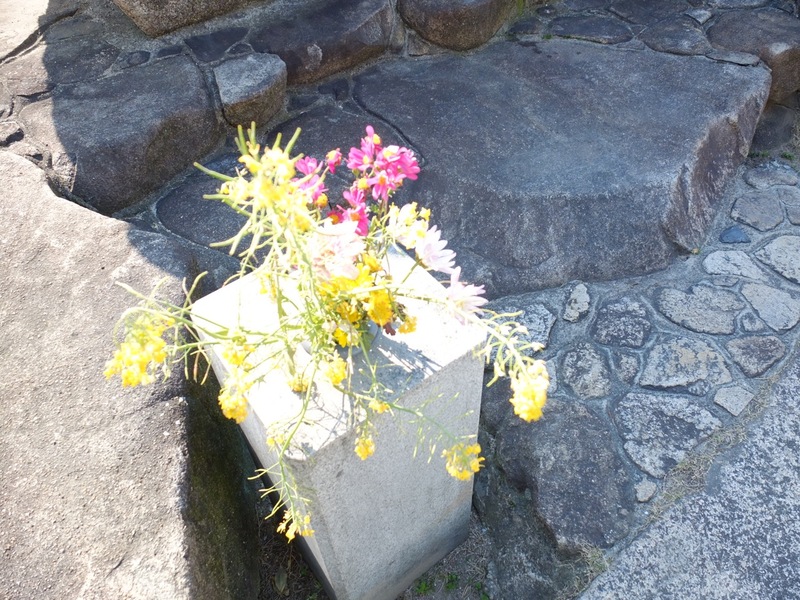 For a perspective on what the bomb meant to Japan and the Japanese people, Kaori Shoji, writes on it eloquently. A baby born in in the year the Japanese surrendered in WWII – the same year two atom bombs were dropped on Hiroshima and Nagaaki respectively – has turned 70 years old. During these 7 decades, the two cities had known starvation, struggle and the kind of recovery the majority of the Japanese thought was impossible. On August 6th, 1945, above Hiroshima City, American bomber pilots first scattered flyers from their planes that warned all civilians to evacuate the area. The civilians – consisting mainly of hungry women, children and the elderly, picked up the flyers but couldn’t make out the words. For the past 6 years the Japanese military had banned all use of English words like “radio” and “milk” (not that the majority of the public had access to such luxuries) and drummed it into the Japanese public that the Americans and British were ogres or beasts. A short while later, a huge mushroom cloud burst in the sky and in what seemed like a matter of seconds, the entire city went up in flames. Charred bodies were everywhere, but those who died instantly were better off than those that survived – suffering from horrendous burns and a raging thirst, they died in unspeakable agony within hours or days or weeks, depending on their exposure to flames and radiation. It took some time for the news to travel up and down the archipelago. In Tokyo, people heard that a terrible mega-bomb had been dropped on Hiroshima, but they were too busy running for their lives like cockroaches, under firebombs that exploded in the sky and razed entire districts in a matter of hours. 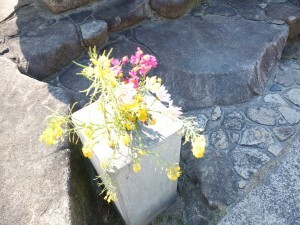 My grandmother, who was in middle school at the time, said that 24 hours after the a-bomb dropped on Hiroshima, people were already whispering about it on the streets but “we were too desperate to pay much attention.” Three days later on August 9th, another atomic bomb was dropped on Nagasaki. On August 15th, the Emperor of Japan went on the radio and announced to his people that after years of everyone having to “endure the un-endurable,” the war had finally ended. 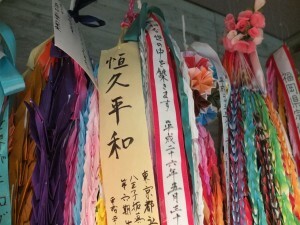 Ms. Ohnishi’s words are in a way, typical of those who have been through “that day.” The Japanese feel they are to blame – for Hiroshima and Nagasaki, for the over 800,000 civilian deaths, the misery and poverty during the postwar years. They wanted to sweep all the reminders of a past blackened by death and destruction, right under some heavy futons which is why not a whole lot of Japanese born between the 1930s, right up until the 1970s, are willing to discuss or dwell on that period – especially not with foreigners, not to mention Americans. During these 7 decades US-Japan relations have been a defining factor behind Japanese policy, economy and export industry. It has brought us among other things, the Peace Constitution and Tokyo Disneyland. So hey – better to pretend all that stuff just never happened, right? This logic is in the same ballpark with the logic that over the years, has banned manga and literature depicting the bomb attacks. The latest to come under restriction is the classic manga “Hadashi no Gen (Barefoot Gen)” series by Keiji Nakazawa. Several school boards in Japan have taken it out of circulation, ostensibly because it contains “discriminatory language” including “kichigai (moron, or crazy person).” WTF, big time. Still, this sort of thing keeps happening, precisely because the victims say things like they don’t deserve to live until 70. In the meantime, Hiroshima has moved on from becoming a blackened, barren land to a glittering urban epicenter, flush with money and guarded by Japan’s most efficient regional police force. The city’s symbol remains the Atomic Dome – the former “Industry Endorsement Center” built in the early 20th century. 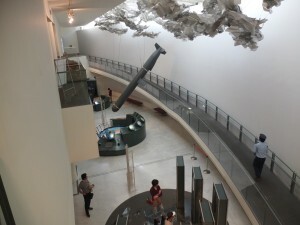 It was one of Hiroshima’s first western style buildings made of concrete, and equipped with a domed ceiling which most Japanese had never seen. 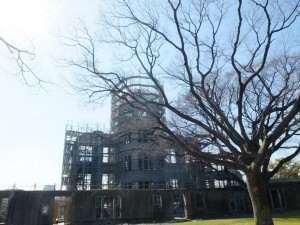 In the aftermath of the a-bombing, 90% of the main facade was ripped apart by flames but the dome structure remained. To the rest of the world, the dome became a symbol of mankind’s first deployment of the nuclear bomb. To the survivors in Hiroshima, it represented a mega-scar that wouldn’t go away. Months after the bombing, the more audacious types gathered at the dome, bared their torsoes to show their burn marks and posed next to grinning American Occupation soldiers who loved to take photos and send them back to their families. This brought them a few dollars and in those days, a few dollars was wealth. Others picked up bent, burned and twisted pieces of steel or rubble, human bones and the like, and sold them to the soldiers as souvenirs. But these people disappeared in the early 1950s as Hiroshima concentrated its efforts on looking forward and marching the march of the rapid growth economy. It was during this time too, that Hiroshima’s mayoral office debated on whether to keep the dome going or to tear it down. It brought back memories too terrible to contemplate, but on the other hand, Germany had turned Auschwitz into a museum. Shouldn’t they like, do the same? In the midst of all this, the survivors in Nagasaki took second place. They were like the back-up chorus, always several feet from center stage. 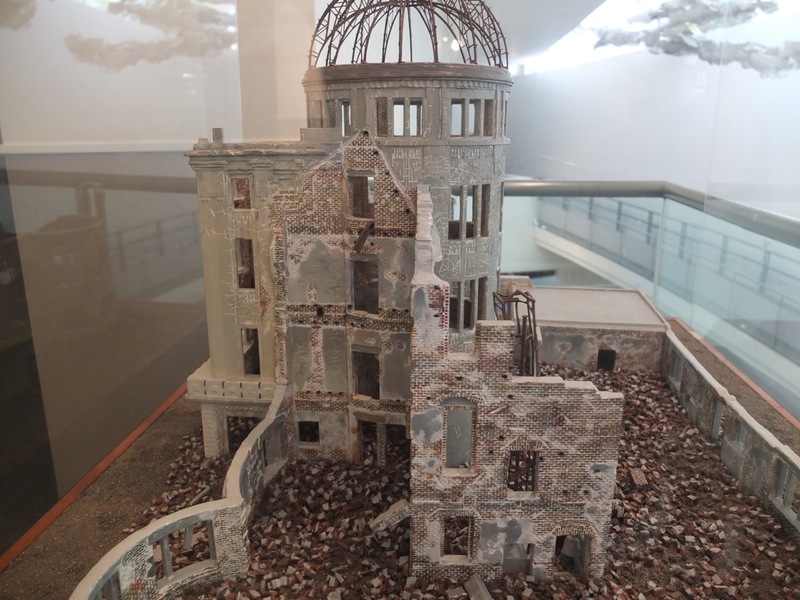 Hiroshima now has a world-wide repute but Nagasaki less so, and you can see it in the vastly differing ways the two cities have dealt with the past. Nagasaki has remained faithful to its illustrious roots as Japan’s one and only port open to the outside world (actually just mainland China, Korea and the Netherlands) during the Tokugawa Shogunate, and a safe haven for Japan’s “Secret Christians” who went into hiding for 3 centuries after Christianity was banned in the late 1500s. Until Japan officially opened her doors to the West in 1865, these people built clandestine altars and carved statues of the Virgin Mary, always in fear of being discovered, tortured and impaled on the end of a spear until dead, as mandated by law. When the bomb was dropped, it first struck the Nagasaki City Prison before spreading out over the entire city, and destroyed Nagasaki’s iconic Urakami Cathedral, among everything else. 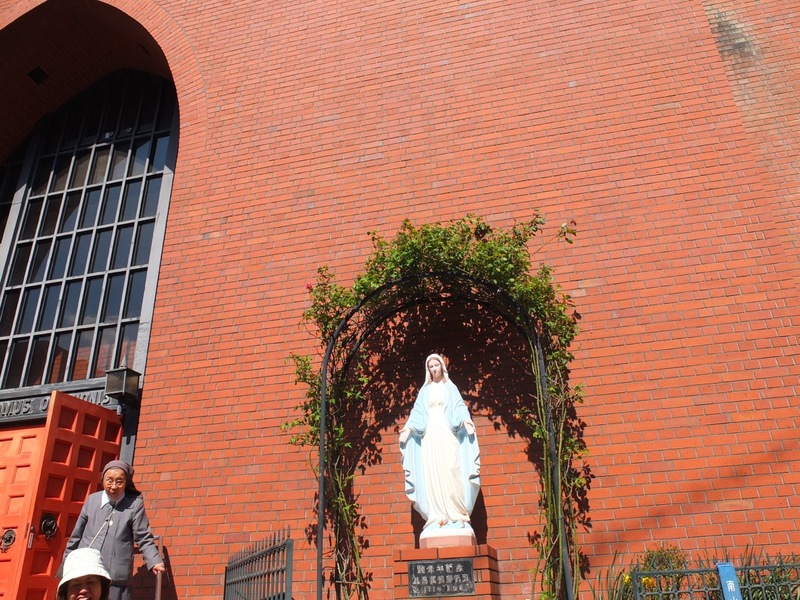 In the Cathedral neighborhood, there were an estimated 14,000 Catholic inhabitants. 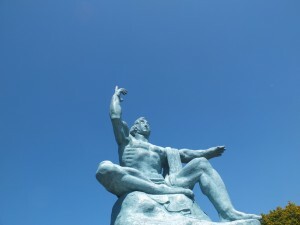 Over 8000 died from the bomb and Nagasaki considers the victims to be martyrs. 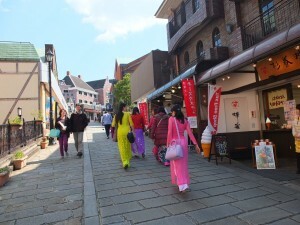 Today, Nagasaki remains somewhat provincial and markedly more laid-back than Hiroshima. 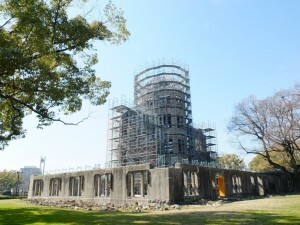 Urakami Cathedral has been rebuilt and the city has maintained close ties with the Vatican. Apart from commemorating the a-bomb’s 70th year anniversary, Nagasaki is celebrating 150 years since the official revival of Christianity. 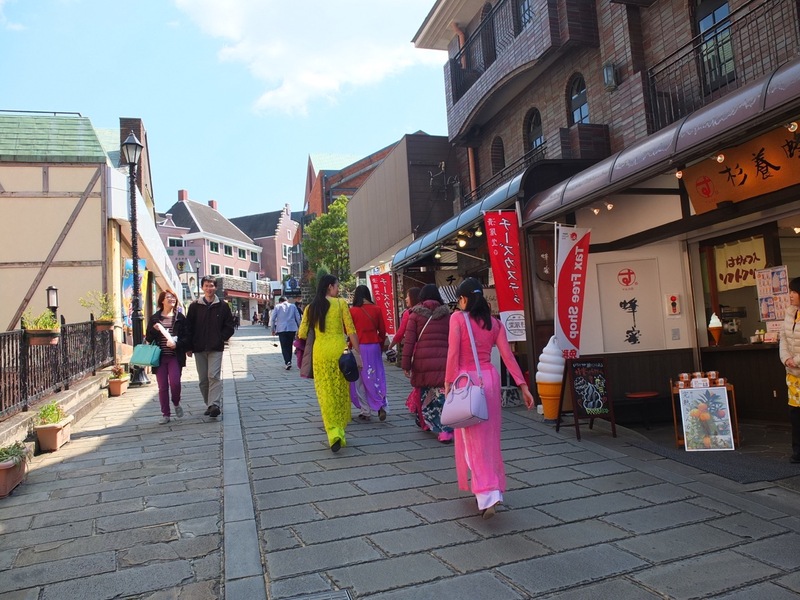 There’s not much here in the way of industry, despite the fact that Nagasaki was the site of Japan’s very first trading company (Kameyama Shachu). 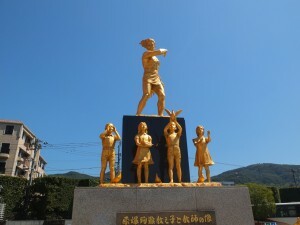 The police and yakuza forces – so rampant in Hiroshima, just doesn’t have the same sway here. Everything about it feels retro and exotic, like the slabs of whale meat on display in the local markets as if no one here has heard of Greenpeace. 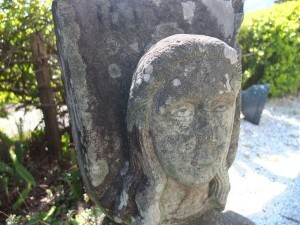 The local celebrity is actor Masaharu Fukuyama and local legendary figures include Thomas Glover, reputed to be a masonic spy for the British government when he came over here in 1859. 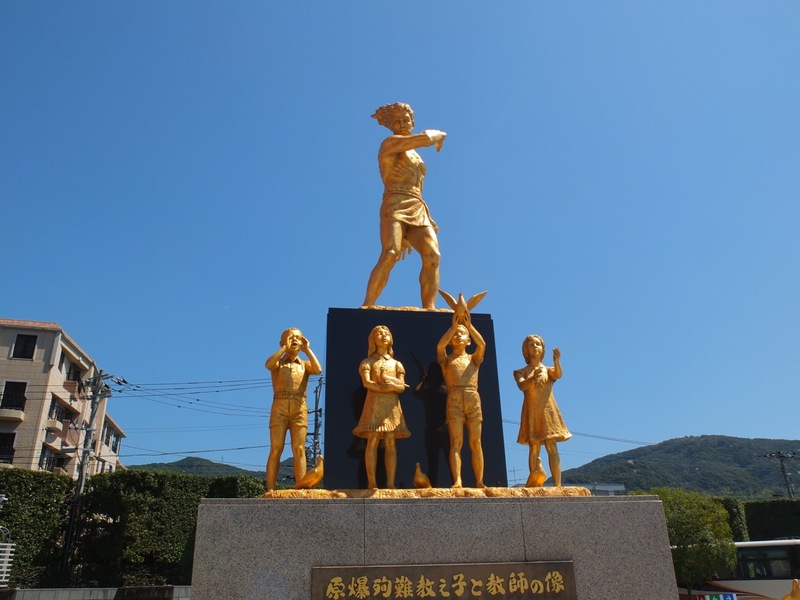 Nagasaki’s Peace Park feels very different from Hiroshima’s – more formal and less a part of the daily fabric, though ice cream vendors call out to American military folks out for a jaunt in Nagasaki from the naval base in nearby Sasebo. 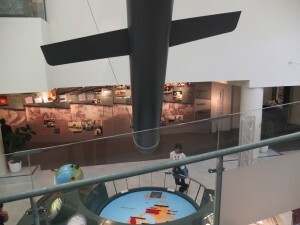 “Gee, that’s sad,” said a blonde woman to her husband, as they looked over the bomb replica at the museum, and reading the story of a little boy who showed up at a crematorium with a dead baby strapped to his back. Over the years, surveys have consistently shown that over 50% of Americans think the bomb attacks were “necessary” and “not wrong.” No American in government has ever issued an apology. The Dome in Hiroshima is undergoing major repairs, in time for the Olympics and an expected tidal wave of foreign visitors. 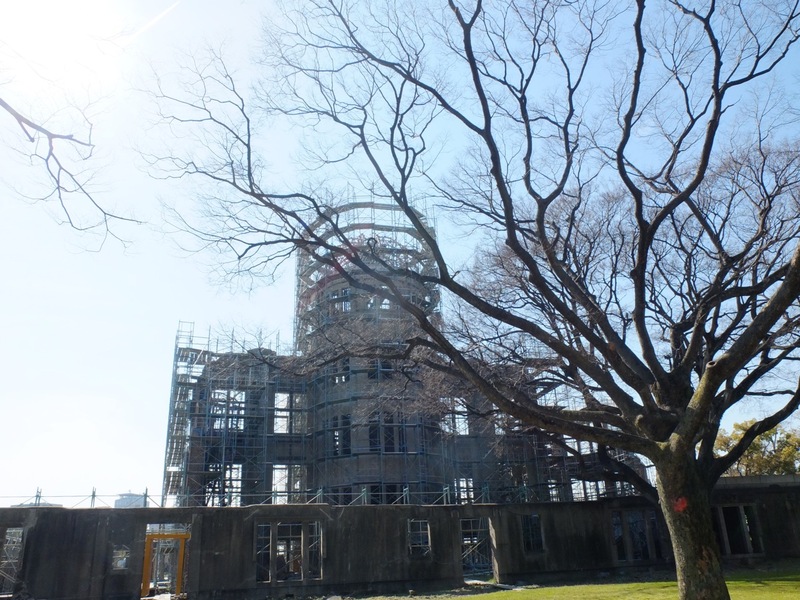 It resides in the Peace Park, which is a pretty piece of urban greenery where gaijin tourist couples laugh and frolic and take selfies, right in front of the Dome. Local children scream and play while their mothers stand gossiping. Seventy years has gone by and the area surrounding the Dome has shifted from war atrocity memorial to a somewhat banal city park where a white construction sheet covers a small dome structure. It’s hard to say whether this is a good thing. It probably is, though that very thought clogs my throat like the ghost of a sobbing voice. Tatsuru Uchida cares about Japan. Much like a favorite aunt who drops in “just to know what you’re up to,” bearing an edible gift. Uchida will then proceed to tell us exactly what’s wrong with us and why we can’t find a marriage partner. Tut, tut. Scold, scold. 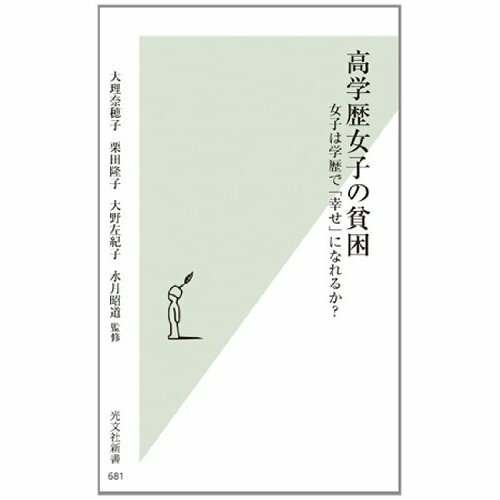 Professor of humanities, author of 42 books and currently Japan’s most popular philosopher, Tatsuru Uchida is genuinely concerned about our welfare. And just as with the auntie, part of us resents him for being so forthright. But oh, how we’ll miss him if he ever stops dropping in and nagging the hell out of us. I personally, will break down in tears. Tatsuru Uchida was born in 1950, and his father had worked in Manchuria as an engineer during WWII. After the surrender, Uchida Sr. was active in trying to mend and revive post-war Sino-Japanese relations and this perhaps, accounts for Uchida’s broad liberal streak that has made him a champion for the rights of women, children, teenagers, unemployed and/or unattractive adults. If Japanese society was one big classroom, Uchida is the self-appointed teacher in charge of the misfits: the meek underachievers who just CANNOT get dates. Twenty years ago, these people were a definite minority in the classroom but now it seems, they’ve taken over. 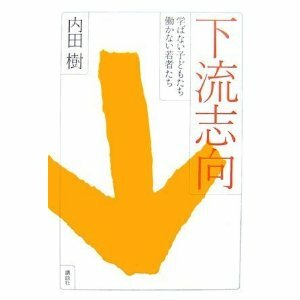 According to Uchida’s hugely popular books that analyze the state of this nation, it’s the rich, beautiful and brilliant kids who are sparse and obscure. 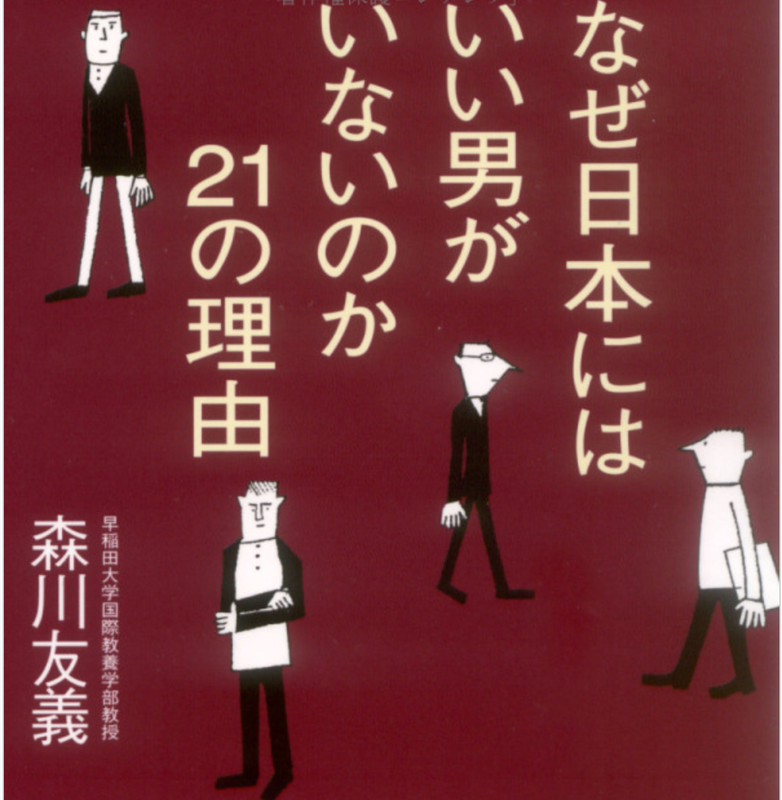 “These days, Japanese children refuse to study and young people refuse to work,” he wrote in the definitive bestseller of 2007 called “Karyuu Shikou (The Urge to Go Downstream).” This was a chilling (but amusing) portrayal of how the children and grandchildren of post-war baby boomers woke up, smelled the coffee and decided that effort – the driving concept behind Japan’s rise to the third largest economy in the world – just didn’t make sense anymore. This new breed of Japanese were fine with slacking off, with not dating or marrying, and going through life with their gears set to one, FOREVER. Who wanted to swim against the current when it was so much easier to relax the muscles and go downstream, even if it ultimately meant wallowing in mud and trash at the bottom? Uchida himself is no stranger to failure, specifically in the realm of Japan’s intellectual elite. He was thrown out of high school, couldn’t get accepted to Kyoto University and was 20 years old by the time he got into Tokyo University. Unlike most academics of his generation, he never studied abroad and he quit midway on the path to getting a Ph.d. He became a professor at Kobe Women’s University, which in the eyes of Japan’s male-dominated academia was nice, but… SISSY. He also got divorced, raised his daughter single-handedly and later remarried one of his students (a Noh performance artist 20 years his junior) at the age of 60. Uchida had lived his life completely outside the mold of the typical Japanese male in Japan’s heavily patriarchal society of the late 20th century. It couldn’t have been easy or lucrative and Uchida himself has written that it was “hard, uphill work all the way.” But now that traditional mores and values have all but withered away, Uchida’s outsider outlook is definitely paying off. The man who broke his back to pay the bills and raise a child, is the same man who understands how the young Japanese of today may want to throw earnestness and hard work right out the window. He also pointed out in “Karyuu Shikou” that unlike their elders, the young Japanese who hate the word effort are actually proud of their slacker lifestyles. “They’re proud of having made the choice and of being individuals,” wrote Uchida. The culprit, according to “Karyuu Shikou,” is a blind, misguided trust in profit and individualism. “The driving factor behind Japan’s rise to success isn’t effort so much as a willingness to put in the work and be patient about the results. It’s the same with relationships and marriage. But now everyone wants immediate results and instant gratification. They want to see cash up front and when it’s not there, they lose interest.” Uchida concluded that the sooner we toss the idea of value for money, the faster we’ll get back on the track to becoming true and genuine human beings. See? I told you he cares about Japan. 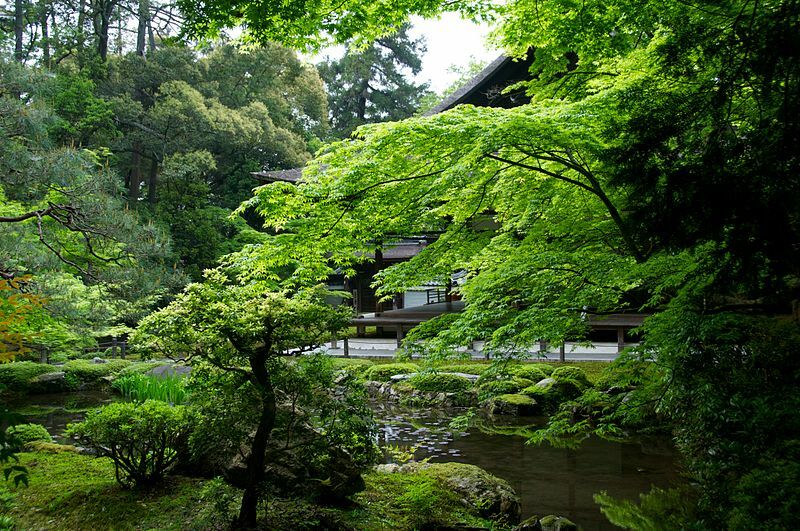 If you happen to be a young Japanese woman considering a career in academia, read on, scream bloody murder and ask someone – anyone! – to chain you to a lamp post before choosing that path. As the three women authors of “Kogakureki Jyoshino Hinkon (The Poverty of Highly Educated Women)” point out, the rocky road to Japanese academic success is paved with thorns anyway. But to be female while navigating that road brings on among other things, a chronic case of no-money blues. All this, and yet in their book the three stress that higher education more often hinders instead of helps the modern Japanese woman attain personal and professional happiness. 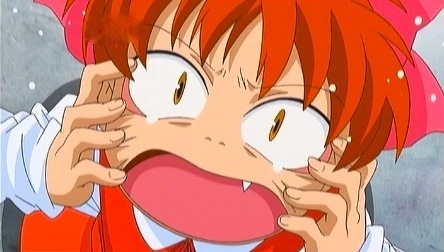 猫娘 (Neko Musume) would hate Japanese academia. 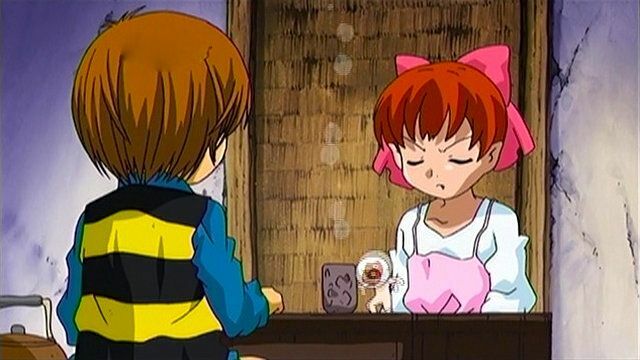 Fortunately, she is a 妖怪 (yokai) monster and doesn’t have to deal with work-place sexism. Poverty among Japanese women is topical, especially now that Abenomics has been revealed as the friend of the testosterone-fueled 1% and could care diddly squat about the rest of the Japanese populace, ESPECIALLY single women and/or single mothers. “To be born a woman in Japan means that the risk factor for life-long poverty is pushed much higher.” That’s one of the scary joint statements made by authors/academics Naoko Ohri, Ryuko Kurita and Sakiko Ohno. Between the three ladies, they’ve written a vault-full of academic papers, amassed multiple degrees from Japan’s top universities, published books and given more lectures than they can remember. All this, and yet in their book the three stress that higher education more often hinders instead of helps the modern Japanese woman attain personal and professional happiness. Plagued by gender discrimination that’s locked into the system, hampered by jealous (mostly male) colleagues and dispirited by salaries that barely cover the rent, women in academia are pushed into a dead-end alley and left to toil away, “while the world moves on and we grow older,” as Ohri writes in one line. Things were different when they were just starting out in their respective fields. The three authors agree that when they were young, brilliant students at their universities, the future looked full of promise and personal freedom: two things they just couldn’t see in corporate careers had they chosen to go in that direction. Ohri and Kurita are in their mid-40s and are (understandably) mistrustful of the Japanese corporate world. After all, they were undergraduates when the nation took a nose dive into a recession that lasted over 20 years. 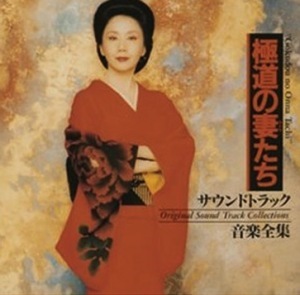 Sakiko Ohno was born in 1959 which means she spent her formative years in the rapid growth era when women were expected to marry by 24, raise a family in the suburbs and stay with the same man until death. Rebelling against that fate, Ohno chose to become an artist and backed up her decision with a degree from the Tokyo University of the Arts – the nation’s finest and most competitive. 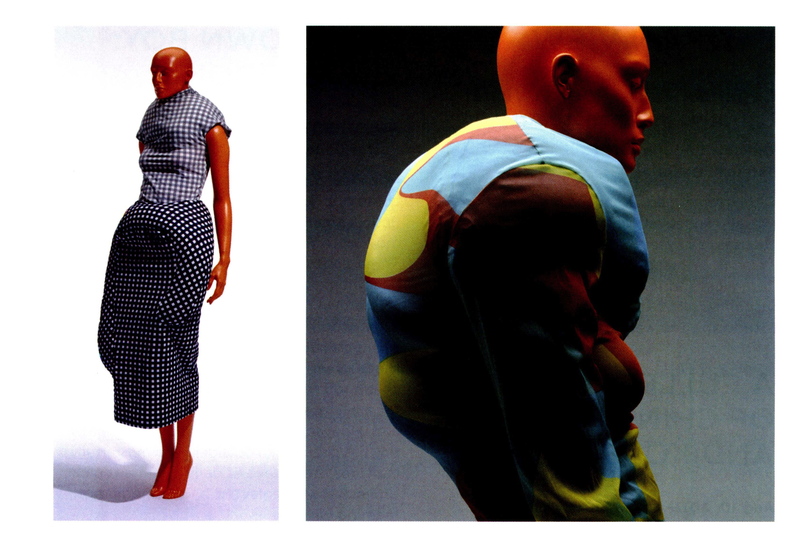 After graduation she spent 20 years pursuing sculpture before throwing in the towel and turning to writing/blogging. 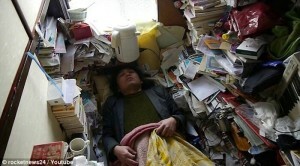 Domestic bliss is often not an option in the ivory towers. Of the three, only Ohno got married, to a teacher at a prep school for college entrance exams. The couple have no children and Ohno writes: “If I did have children, I wouldn’t have been able to work.” At the time of her marriage, Ohno was working part-time at an arts prep school but her salary was much less than her husband’s. That meant she had to bear the bulk of the housework, draining her energy and taking time away from her artistic endeavors. On the other hand, she had no worries about the rent. It was a compromise she couldn’t foresee as a university student but it’s common as rain among women – not only in academia but everywhere else in the workforce. Ohri and Kurita remained single (though Ohri is living with a boyfriend) and they’ve both come to the conclusion that an academic career does the Japanese woman no favors, EVEN if she’s at the top of her game. 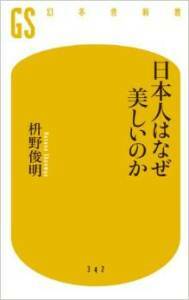 “Kogakureki…” hit bookstores in February, before the Haruko Obokata/STAP cell scandal broke. But the swift rise and subsequent crash/burn of a brilliant female researcher like Obokata is eerily predicted in the trio’s book. All this, and yet in their book the three stress that higher education more often hinders instead of helps the modern Japanese woman attain personal and professional happiness. “A woman can educate and polish herself until she shines like a meteor,” goes one line. “But the system is rigged to trip her up and make her fail.” The reasons are many and varied, but they ultimately lead to the same conclusion. If she hasn’t quit while she’s ahead, the highly educated woman will turn out to regret she ever enrolled in grad school. The book mentions, by the way, that Japanese academia itself view graduate schools as “hospitals,” and when a woman enters one, she has little hope of getting out with her health and sanity intact. According to the book, the difficulties surrounding the female academician can be traced to societal tradition and the curse of the gender. 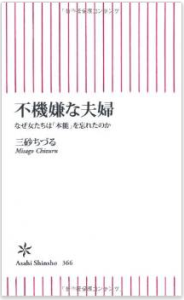 Indeed, in the foreword by Shodo Mizuki of the Chikushi Jogakuen University For Women, there’s a paragraph dedicated to the extreme busyness suffered among women academics in general and how their efforts go unrewarded, due to a system that refuses to acknowledge those efforts. Women in academia are expected to put in extra hours toward the day-to-day running and maintaining of laboratories and offices, assist professors in their research and other unseen, unpaid tasks. Not to mention their own work and research. Mizuki points out that this system leaves women no choice but to battle each other in the war for survival. In other words, the ladies’ room is always crowded and consequently women must resort to pushing and shoving, just to get a little breathing space. It’s disappointing however, when Mizuki describes the desperate tactics of women as “scary,” as if he’s turned off at the sight of a date without make-up. The reality is that women have to work extra hard and extra long if they want to get anywhere in academia. Mihoko Harada, who is an assistant researcher at Tokyo Science University’s biochemistry department, says: “I rarely get to bed before 2AM. I’m working all the time, and on call 24-7. The last time I had a boyfriend was back in high school. Sometimes, I feel that it may be better to quit but where will that get me? I have no skills.” Harada who is 37, lives with her parents in Saitama prefecture and gets by on a monthly salary of 180,000 yen. The bottom line: avoid graduate school like the plague. Japan’s highly educated women are discovering that multiple Ph.Ds and personal fulfillment rarely have anything to do with each other. As for success, even if it did arrive – as in the case of Ms. Obokata – it’s no guarantee against an ever fluid future. “And even if we get to keep working into our 50s and 60s,” wrote Ohno, “the financial struggle never goes away.” The trio’s prose sometimes gives way to self-deprecation but they are never bitter and their tales have bursts of hilarity. Still, there’s no denying that a hard nugget of discontent forms the core of the book and it leaves the reader (who are mostly women anyway) full of sadness. Japanese academia is crowded with smart, talented women but it seems very few in this country have any idea how to welcome or deploy them.